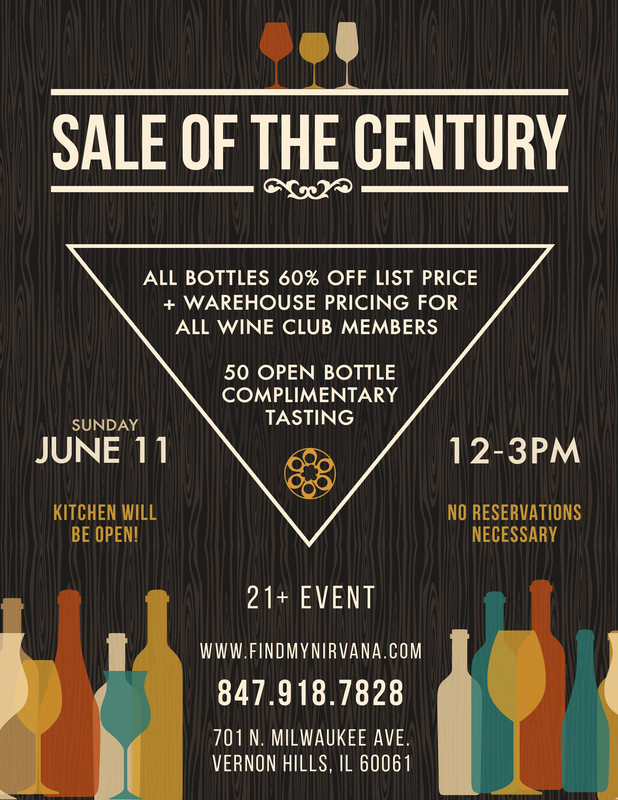 Join us Sunday June 11th from 12-3 for a tasting and sale for the record books! Our entire wine selection and more from 60% off our list pricing, and a COMPLIMENTARY 50 open bottle tasting. This is an event not to miss, and GIANT thank you to all of our wonderful guests, and something that we only do twice per year. All Wine Club members receive warehouse pricing! The Patio will be open if the weather permits.